If you're exploring Music City, head southeast of downtown and you'll notice the Drake Motel. Located at 420 Murfreesboro Pike, this small unassuming motel doesn't look like much, but there's much more to it than you may realize. The sign says it all "Stay Where the Stars Stay." You'll take a close look at it, think "Hmmm" and try to remember why this place rings a bell. You probably remember it from the movie, "The Thing Called Love" with Sandra Bullock and Samantha Mathis or "Songbird" with Dolly Parton and Billy Dean. 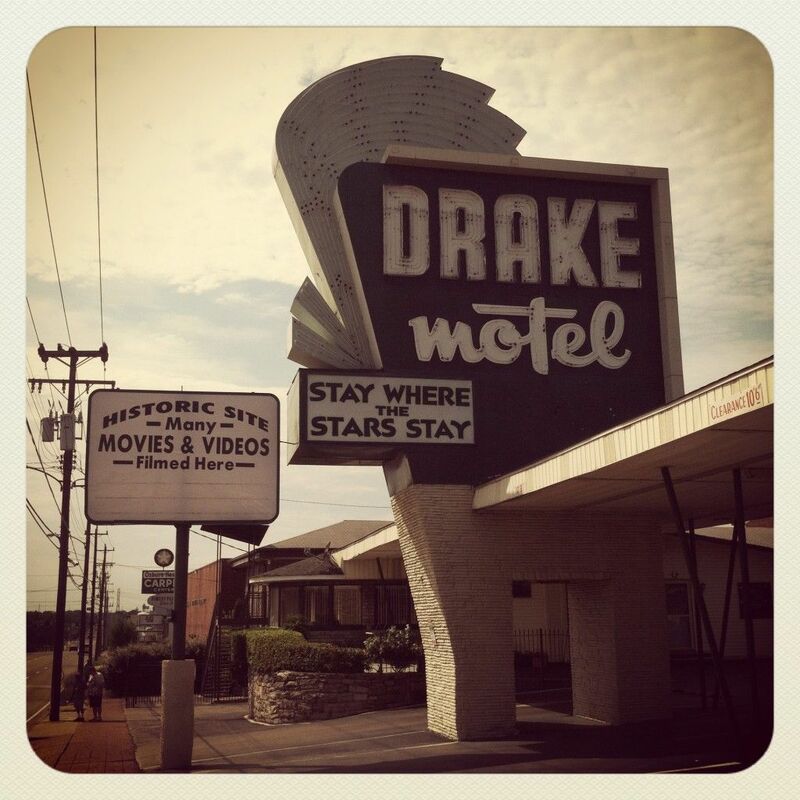 The Drake has also been used as the backdrop in music videos for Jason Aldean's "The Truth" and Darryl Worley's "Nothin' But a Love Thang". Hotel guests have included Elvis Presley. It's not up everyone's alley, but it's a cool place to check out on your next visit if you want the real "spirit" of Nashville!